LOOK AT THE FEEDBACK AND WISHES OF MY CLIENTS ABOUT THE WORK DONE. Hiring wedding jingles for my engagement,sangeet, and wedding shoot was the best decision ever made. The pics are really supercalifragilisticexpialidocious. Not to forget the beautiful cinematic video which cover each and every aspect of my wedding day. My family are really very happy. Thanks Abhishek and team for awesome clicks. Truely appreciate the sincerity and punctuality of Abhishek. Handsome photographer in patna.The album was delivered on time. It was pleasure getting my pictures clicked by wedding jingle team. Thanks a ton. 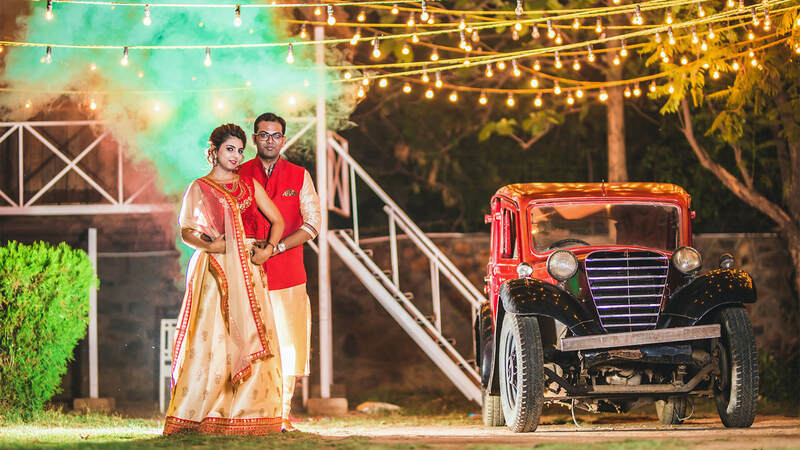 Abhishek was the perfect photographer for my wedding! He is cute and easy to contact and quick to respond. He listened to the things I mentioned that were important to me, and was so patient with all my requirements. Thank you so much to the whole team for capturing my precious moments amazingly. We will definitely be hiring him again for the rest of my family's functions.